In the spring of 2009, the EPA announced that it would increase its scrutiny of spot-on flea and tick medications for all pets. The closer look included all of the popular brands including Advantix, Frontline Plus, and Bio-Spot. They took this step because the number of complaints about pets becoming sick from these applications had increased considerably, and there have even been reports of serious illness leading to death. 1. Cats are more susceptible to becoming ill from spot-on flea and tick treatments than other pets. 2. The vast majority of reported illness has to do with misuse of the products. That is, people did not follow the directions on the packaging. For example, repeated application over a given 30 day period is dangerous. 3. Products intended for dogs must never be used on cats, for they can cause death. 4. A veterinarian must always be consulted before using spot-on flea and tick treatments on very young, very old, sick, or pregnant pets. These groups are more vulnerable to problems than mature, healthy, non-pregnant pets. 5. 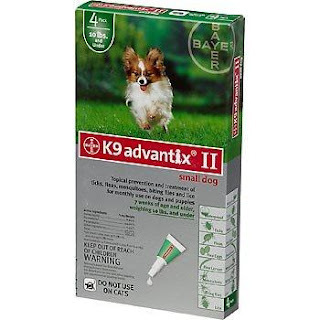 When dogs and cats are treated according to the package labeling, there are significantly fewer problems. 6. When dogs and cats became ill even though the product was applied according to labeling, the effects were relatively mild. They included skin irritation and stomach upset and usually resolved in 24-48 hours. The ASPCA Poison Control Center says the basic message is that people should continue using spot-on flea and tick medications and follow the directions on the packaging. If your pet is in any of the above-mentioned risk groups, do not use the treatments until you have checked with your veterinarian. When parents begin their nanny search one of the things they should take into consideration is if they have or plan to have a family pet. Whether it is due to allergies or a fear that they’ll have to care for the family pet, for some nannies working in a home with a pet is simply out of the question. If you’re considering hiring a nanny and have a family pet, you’ll want to be sure to find a nanny that’s comfortable around animals and willing to provide any necessary pet care. To attract a pet friendly nanny, follow these five rules: To read more check out the Find a Nanny website. The toy aisle in your local pet supply store is probably filled with high-tech goodies that might leave you wondering what's best for your dog. Some of these products are really complex with lights, noisemakers, and even computerized programs. Are they worth it? Which is the right choice for your pet? A lot of clients will ask me what I think and I'm happy to share my experience.To read more go to Dr. Jon's website: http://www.petplace.com/dog-health.aspx and search for "high tech toys." 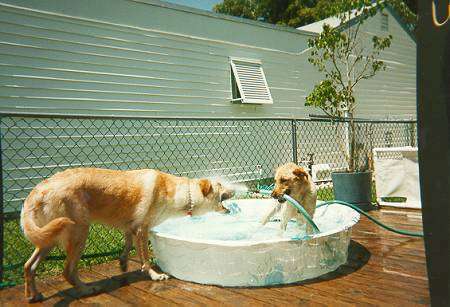 It's summer and time for lots of outdoor family fun with your dog. Beach cookouts, little league games, leisurely yard work, or just lying in the hammock... there are lots of activities where your dog can joyfully join you. Dogs can tolerate reasonable amounts of heat, but when it gets above 80 degrees there are a few things to remember. ALWAYS carry water, even if you're just going out to the yard. There are lots of portable dog drinking bottles available at pet stores, or just make sure there's cool water available in a dish in the shade. Check the dish each time you go out with your pup. NEVER leave you dog alone in the car. Ever. Not even with the windows cracked. Dogs can only release heat through panting, and then in limited amounts. They can release some heat through the pads of their paws, but they don't sweat. The interior of your car will quickly heat up to 100 degrees and more, and your dog will suffer heat stroke, which can kill in a matter of minutes. If you can't leave the ac on for your dog, she or he is better off at home, enjoying your favorite chair while you're busy! When BOATING, make sure your pup has a life jacket designed for a dog his or her size. Even dogs that swim well, like spaniels, labs and goldens, need life jackets in case they're confused when they fall in the water. Doesn't matter if you're taking a rowboat or a cabin cruiser... suit up the pup! 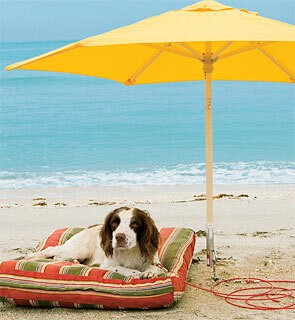 At the BEACH, keep your dog leashed under the umbrella unless you're taking him to the water to play. Put ice cubes in a container at home before you leave, place them in a cooler, and offer the container to pup as the ice melts. S/he will need to cool down his or her core temperature several times during your beach day. A dip in the surf helps, as does a cold drink. WALK your dog in the early morning and evening when it's coolest. Don't exercise him or her at all if the temperature in the sun is above 80 degrees. For potty needs, a quick trip outside on a leash will do until the sun goes down. When HIKING in very warm weather, try to limit your dog's amount of off-leash time. Some dogs will run until they're seriously overheated and then have trouble cooling off. If there's a safe body of water on the trail, encourage pup to have a plunge and a drink. PUPSICLES: A cheap and easy way to cool your dog down. Fill an ice tray with low sodium beef or chicken stock and freeze. Put the cubes in a container in a cooler, and feed them to her one at a time. 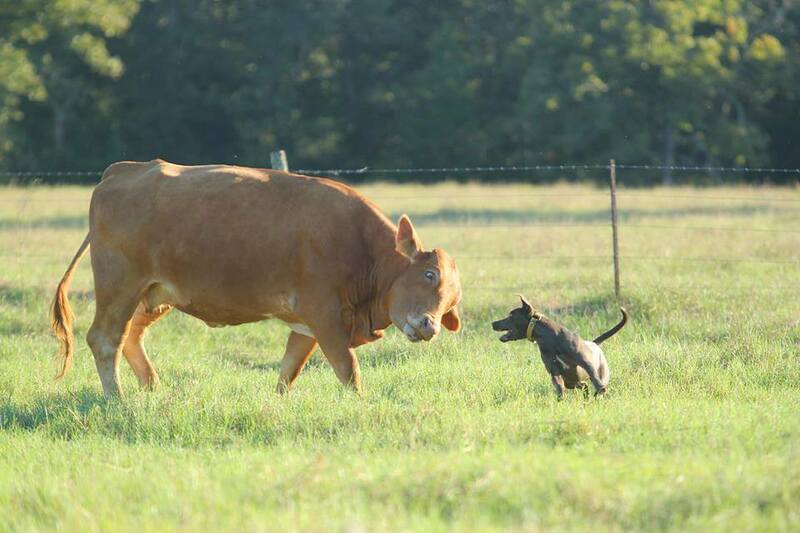 Some dogs (especially the larger breeds) will crunch them right up, while others will lick them. Either way, the dog cools down. Pup will also need plain water in addition to his treat. Dogs love sugary drinks but it's best not to use them for pupsicles. Sugar's even worse for dogs than it is for us!